Giveaway is here from stjudescreations! Floral arrangemnent. To kick in the Spring season my etsy store at stjudescreations is having a $40 worth giveaway for all my readers! The giveaway is the following gorgeous paper flower arrangement. I created this arrangement with paper roses with pink edges ,handmade paper peonies and green fillers.There are white handmade stephanotis with pearl centers interspered inbetween the arrangement.The arrangement in made in a gorgeous vintage milk glass vase I found in New England where I live and measures 6 by 6.Giveaways worth $40!!! To enter the giveaway you can complete any of the following tasks. Please leave your contact email address in your comment(s) so that we can notify you if you are a winner. Completing multiple tasks will get you multiple entries into the giveaway. Each task must be added as separate comment in order to count as an additional entry. If you do not leave an email address your entry will be disqualified. 1. Follow my blog by using the google friend connect tool (bottom left). 2. Tweet about this giveaway and leave a comment with the link to your tweet. 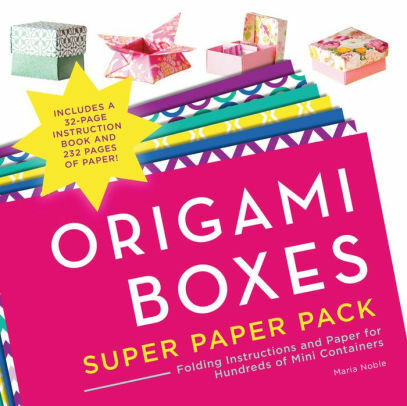 4.Blog post about our giveaway with a link to our blog and leave a comment with the link to your blog post. 6.leave your email in the subscription list in the left bottom of this blog. Giveaways ends May 15th and watch out for the next giveaway! Congrats and you will be contacted shortly if you won! Contest is only open to US residents please! My favorite item from your etsy store is the white hair flower. I want one! 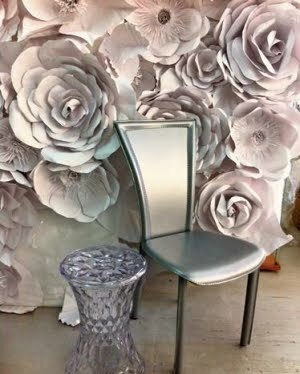 I love the arrangement you have pictured for your Custom Floral arrangement wedding centerpieces! My favorite is the Forget me not flowers and white roses bouquet - I just love forget me nots, and the bouquet is so sweet! I love the wedding hair bridal flower from your shop. Its beautiful. 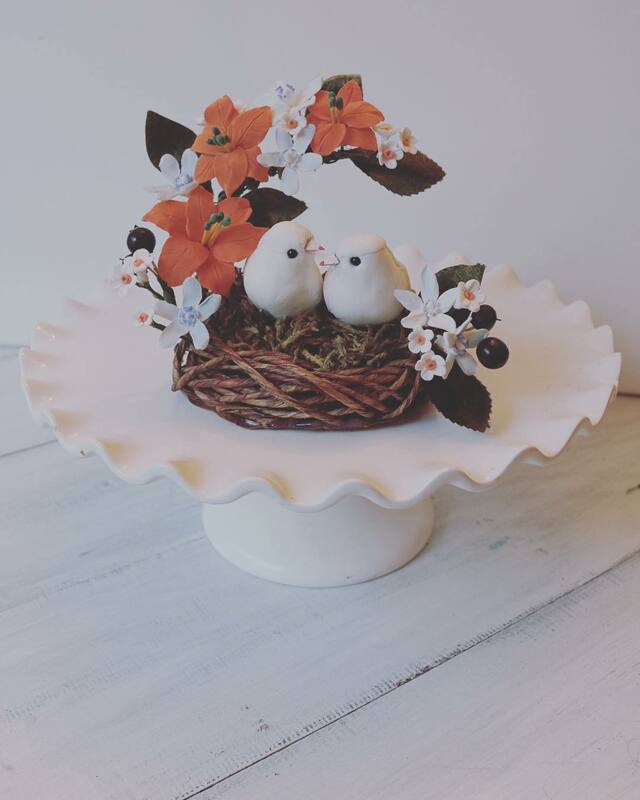 My favorite item from stjudecreations is the woodland nest cake topper. So darn sweet! 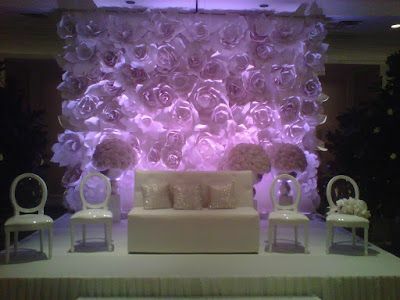 I like the Vintage Milk Glass Arrangement, beautiful! I love the japanese peony for wedding cake in peach! 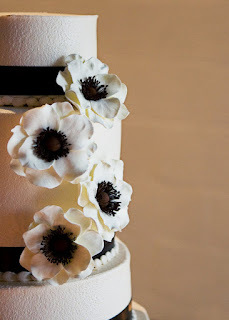 My fav item is the wedding cake topper clay flower with rhinstone center. Hi! Great giveaway! I'm a new follower from the blog hop. 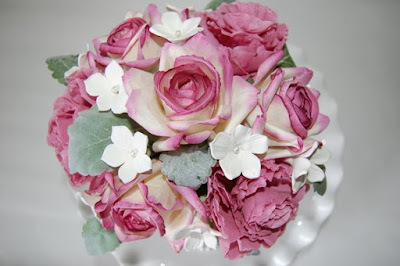 my favorite item is the wedding cake topper with the big pink flower! so pretty! I'm a subscriber now too! I just ran across your Etsy Shop (and made it a favorite)... beautiful! I am following you through google. I love the flower girl pomander. Sooo adorable. 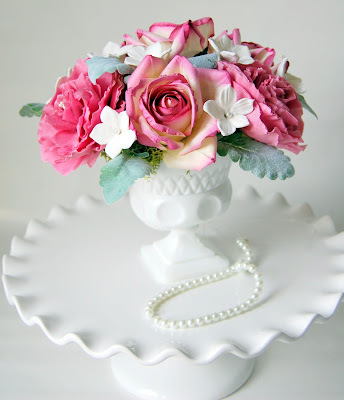 The vintage milk glass flower arrangement floral handmade clay is very pretty. I love the blue forget me nots! The arrangement is a beautiful accent to the milk glass vase. Hi! I happily follow via GFC! The items in your shop are so delicate and lovely! My favorite is Garden Wedding Corsage Birds. 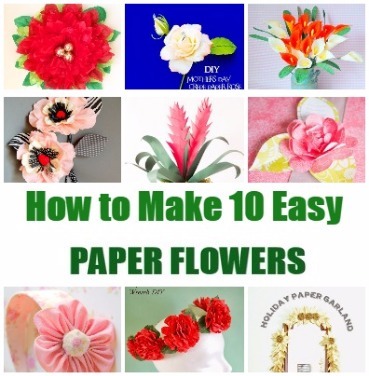 I really like (and Etsy "hearted" as we as "Liked" on Facebook (Jesselyn A) all of the Milk Glass Flower Arrangements and I just love (Favorite) the Paper Flower Garland. I am a confirmed email subscriber to your blog and also signed up for your Mailing List. Follow you on FB as well. 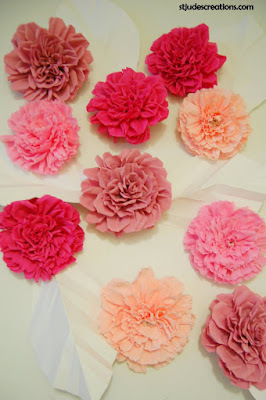 I follow you via Google Friend Connect as Kristen L.
I like you on facebook as Kristen L.
My favorite items is the Japanese Peony for a wedding cake in peach. I LOVE the lg purple flowers for baby shower! I would love to have the blue flower arrangement! I added this as a favorite in etsy! I have "liked" you on Facebook. Your book is in my cart and I will be cheching out tonight. 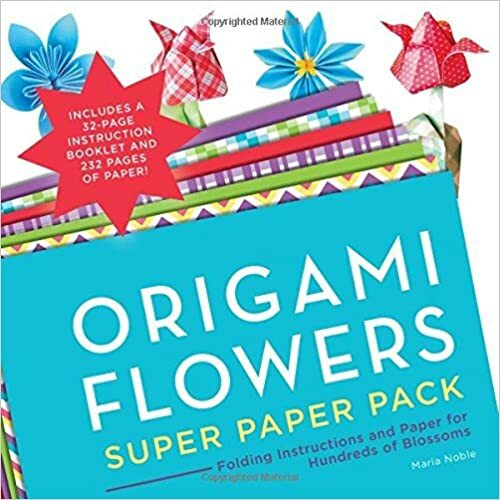 I am so excited to receive it since I love making flowers too. I made your etsy shop one of my favorites! My absolutely favorite item in your etsy shop is the STUNNING blue and white bridal bouquet made from clay. 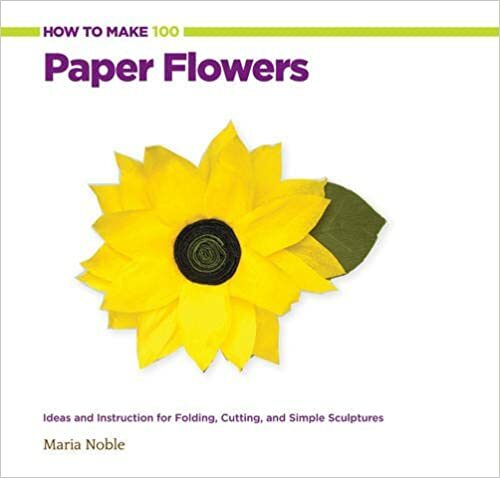 I have made many paper flowers and I have made other things from the lightweight clay. I have always wanted to make a flower from the clay and seeing your gorgeous bouquet is just the inspiration I need. Thank you. It really is an incredibily beautiful bouquet. The post is really nice. I also liked it. The flowers oriented greetings are so awesome.